Breakfast in the Clubhouse beanery is still in session. The desert air is still cool. Trailer train LANPZ's LA based Engineer has been replaced by one from Las Vegas. 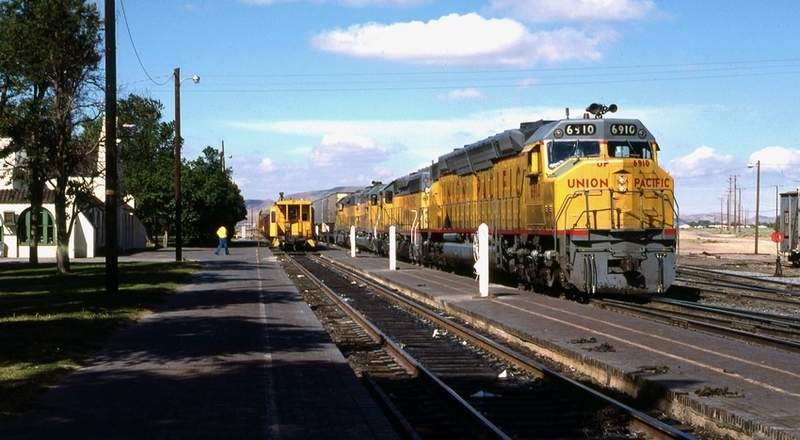 The LA based head and rear Brakemen and Conductor will continue to the next crew change in Las Vegas, NV..
Photographed by Ken Patton, May, 1980. Added to the photo archive by Ken Patton, September 9, 2018.